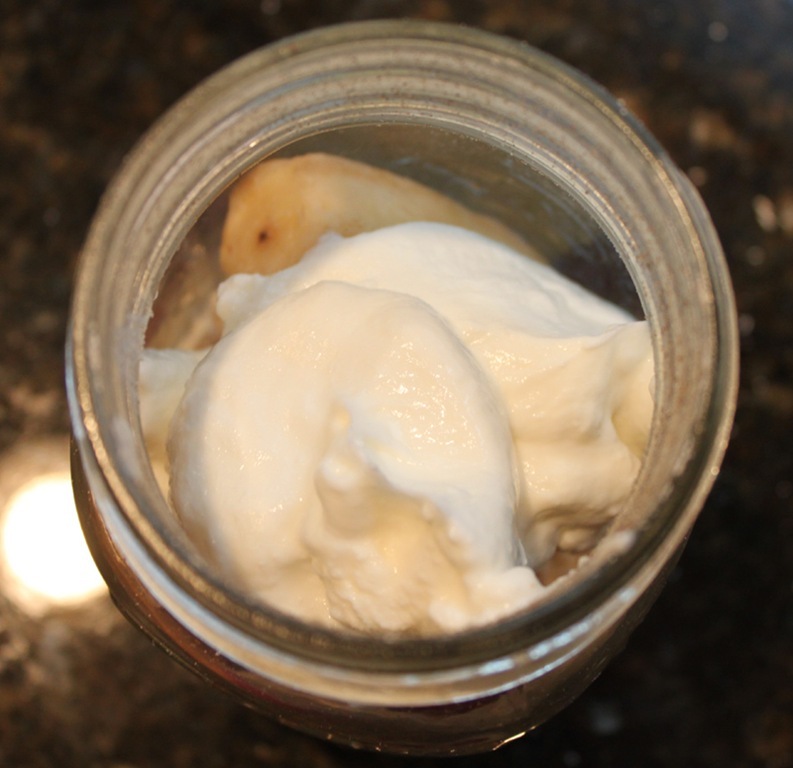 Mason jars are amazing. They might be second only to duct tape in my book (which we know is the most incredible invention ever). 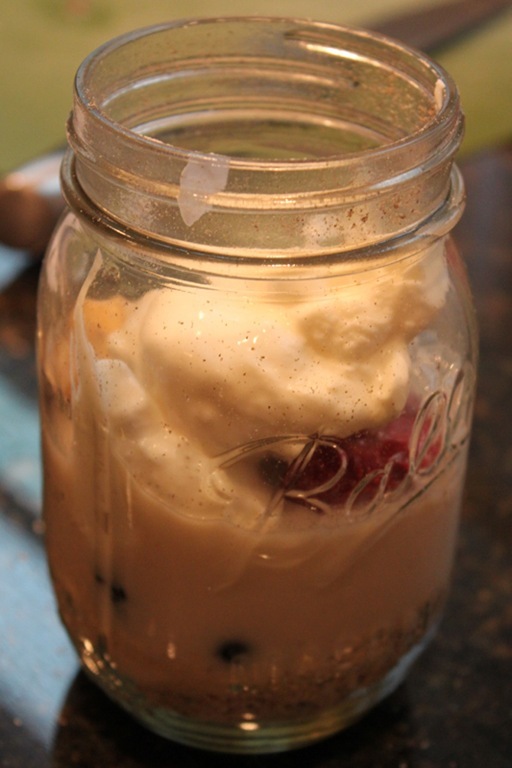 Forever ago I found a pin on Pinterest with an image of a mason jar being used on a blender. This was surely genius and I had to do it. I don’t know why it took me so long. 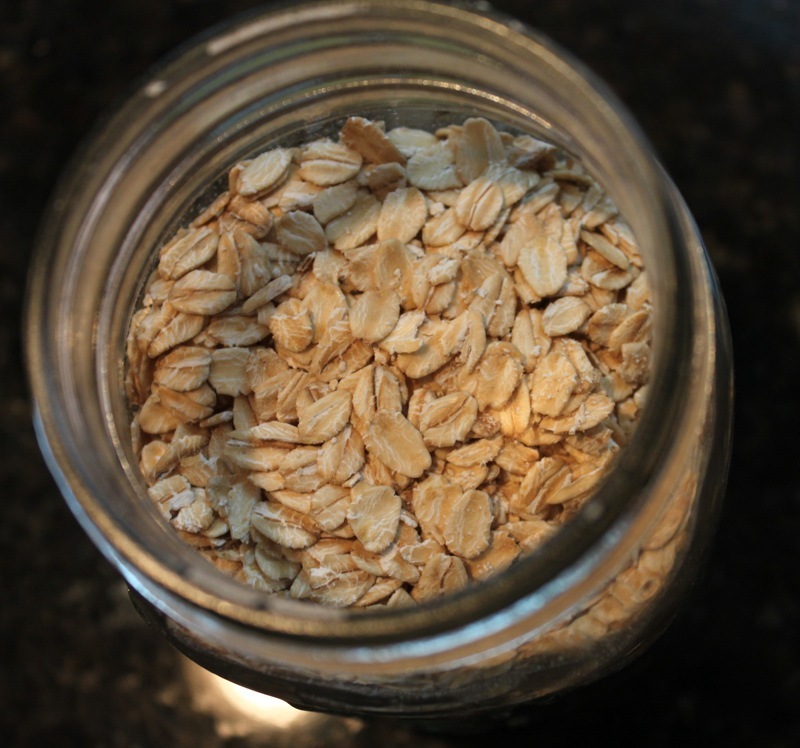 Another pin on how to make oatmeal smoothies finally inspired me to finally try this method. 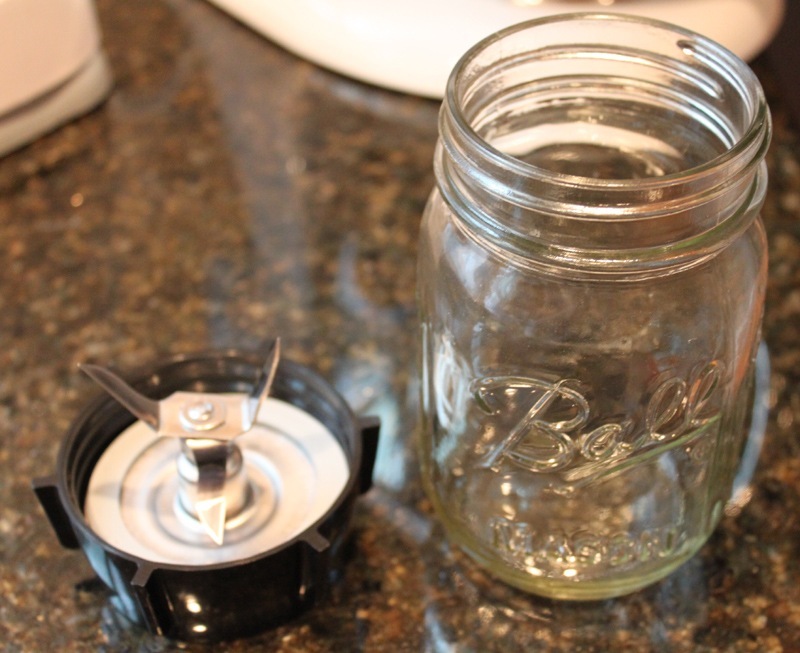 A mason jar will fit perfectly on your blender with the blender blade attachment. Simply screw it on to the bottom of the jar exactly how you would with the full sized blender container. It couldn’t be simpler. I used a 12 oz. 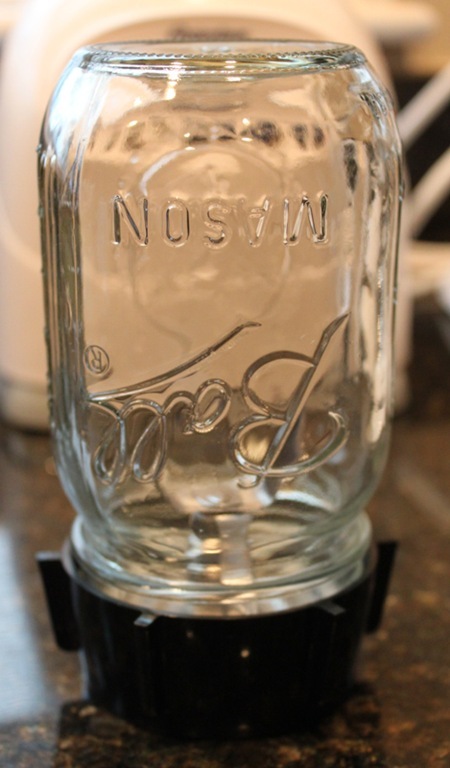 mason jar here but I think any size (except wide mouthed jars) will work here. 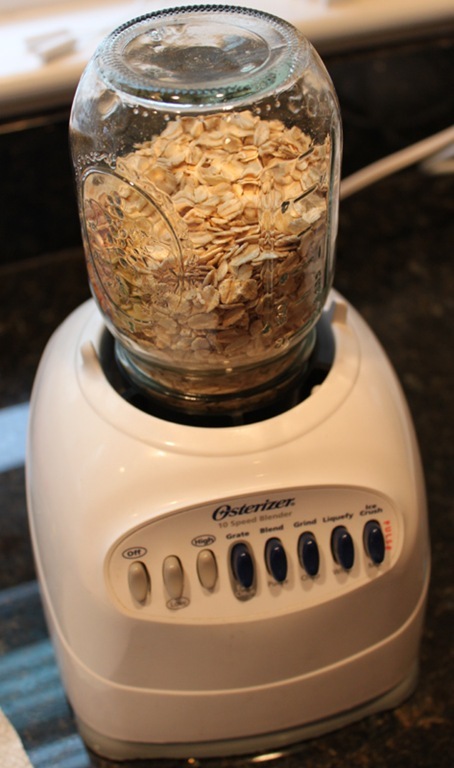 The site I pinned totally inspired me to make an oatmeal based breakfast smoothie. 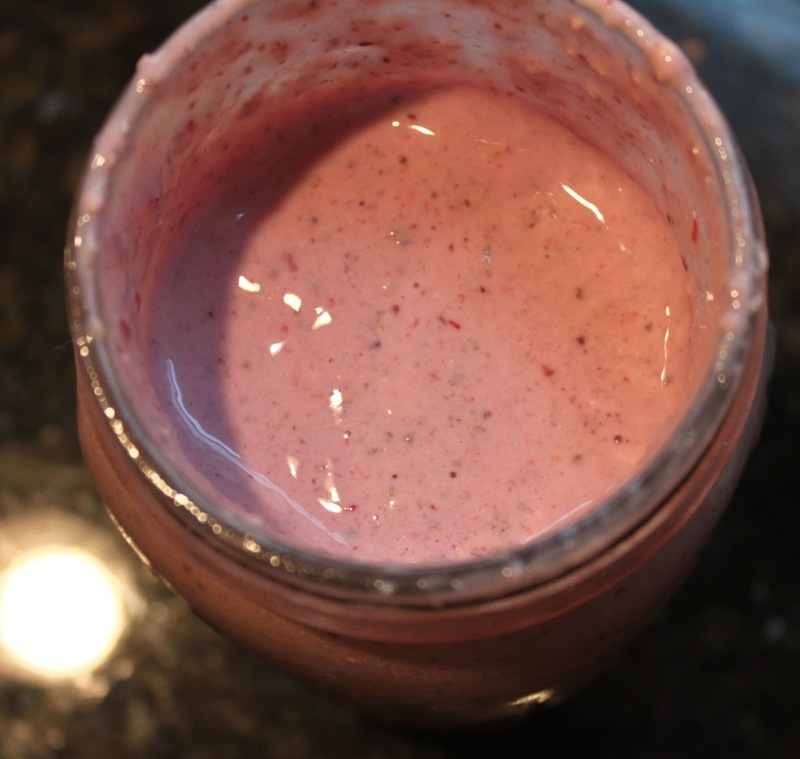 I love smoothies for breakfast that pack a ton of fiber and protein in them. 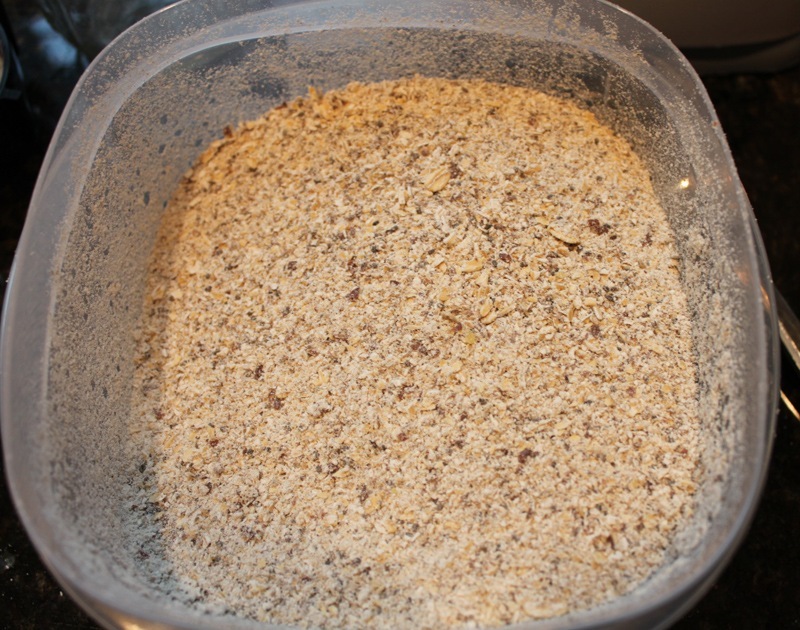 The first thing I did was make the base which required me to grind up the oats, flax seeds, and chia seeds in the blender. You could do this with a spice grinder too. 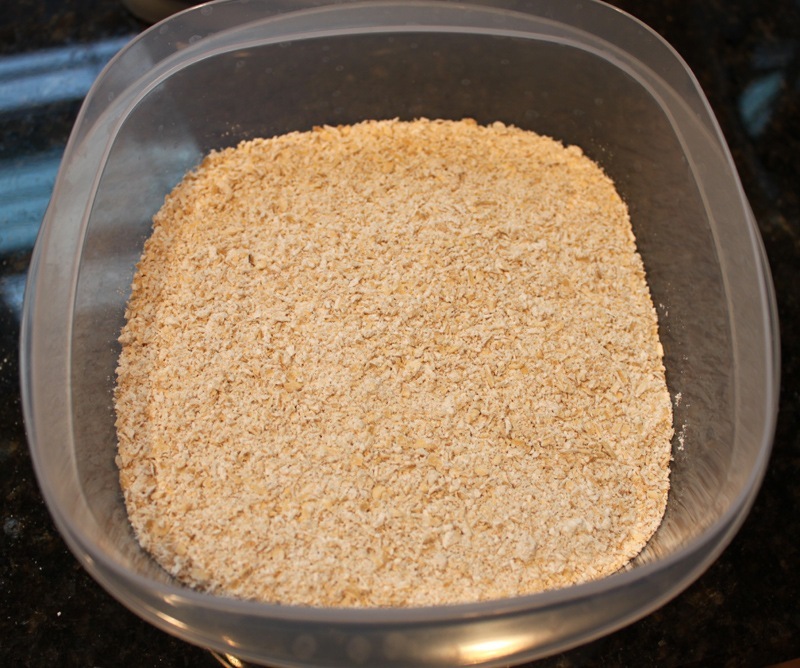 The results were great – perfectly ground oatmeal meal! 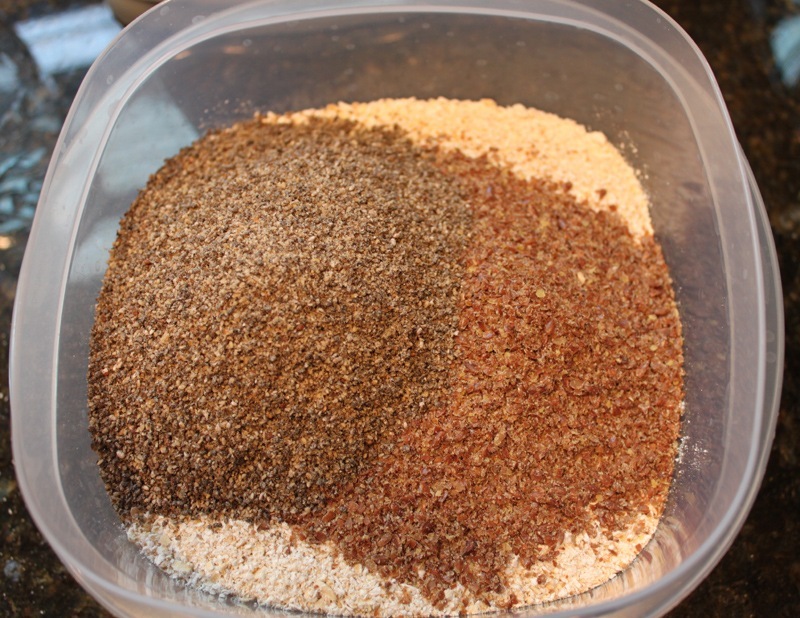 I ground up my flax and chia seeds in the blender the same way. 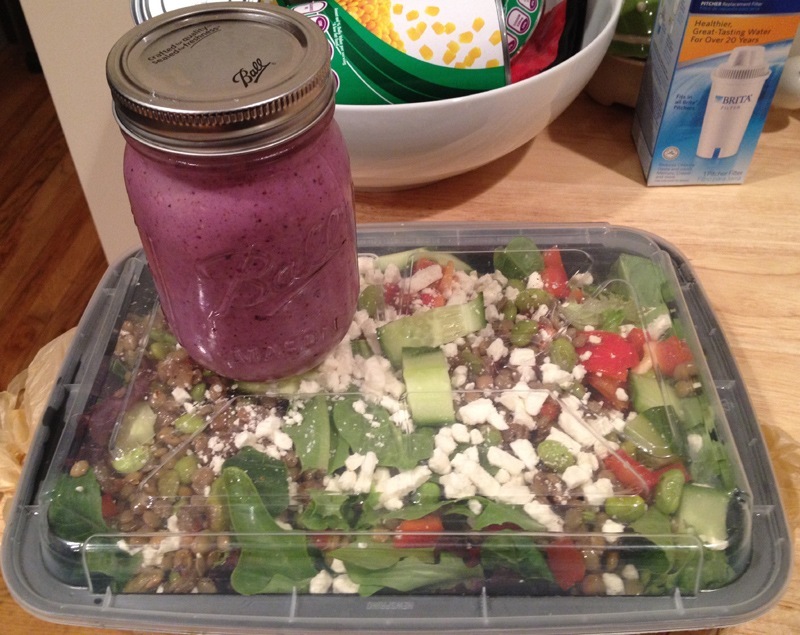 I combined them all in a tupperware container for the week’s worth of smoothie bases and stored in the fridge. I added my base mixture, protein powder and fruit first. 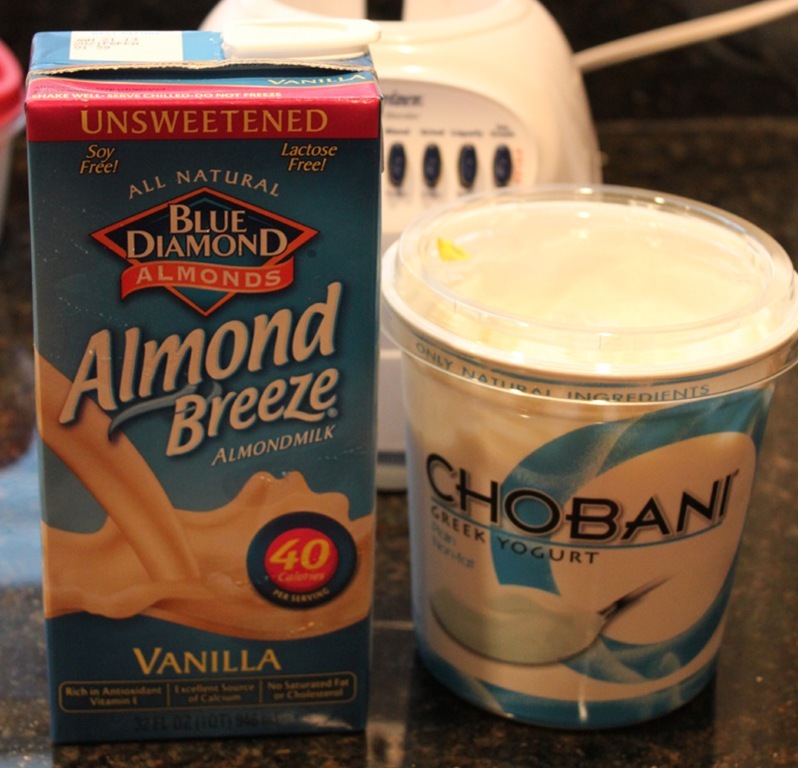 I then added the greek yogurt and almond milk. It totally worked! I got the exact same results that I would have if I used the regular blender pitcher (which I’ll never do again, by the way). 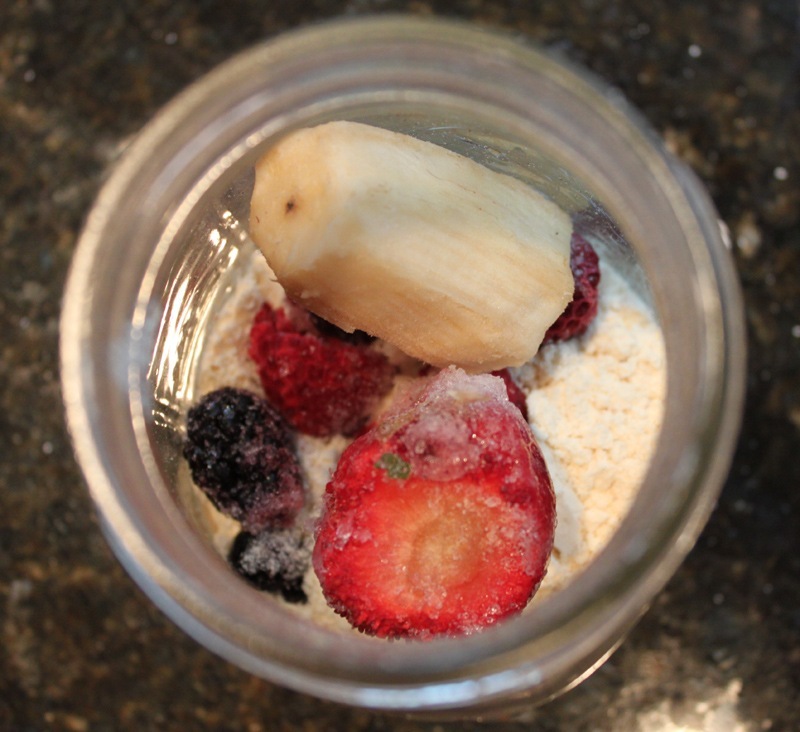 This method removes the huge hassle of transferring your smoothie to a new container and then the whole clean up situation. 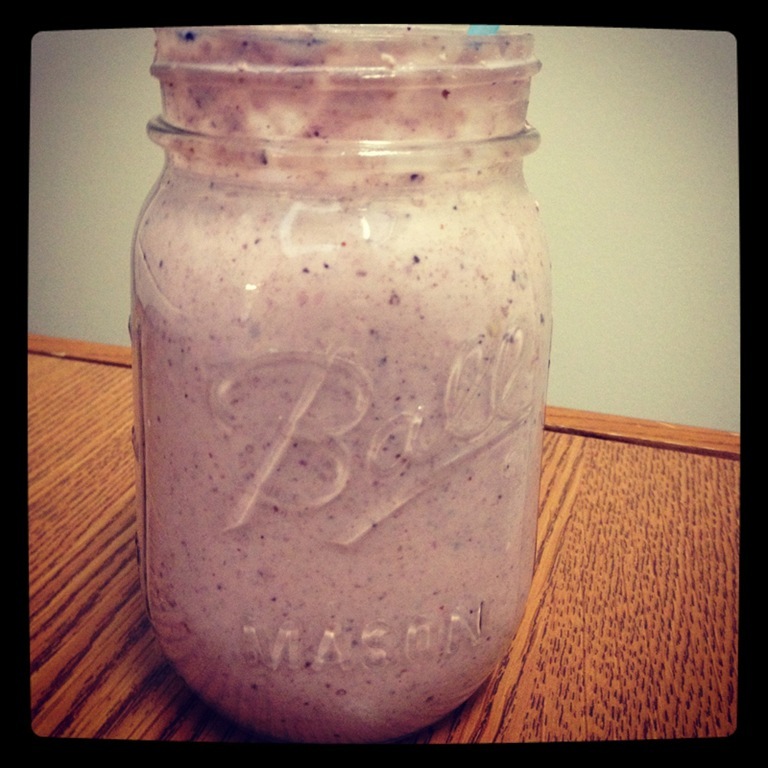 Just add a straw and enjoy a delicious, protein packed smoothie right out of the mason jar! Oh, one more thing! The nutritional information. You really can’t get any better than this – loaded with protein, very low on sugar, and high fiber. Prev Happy Learn To Cook Week! 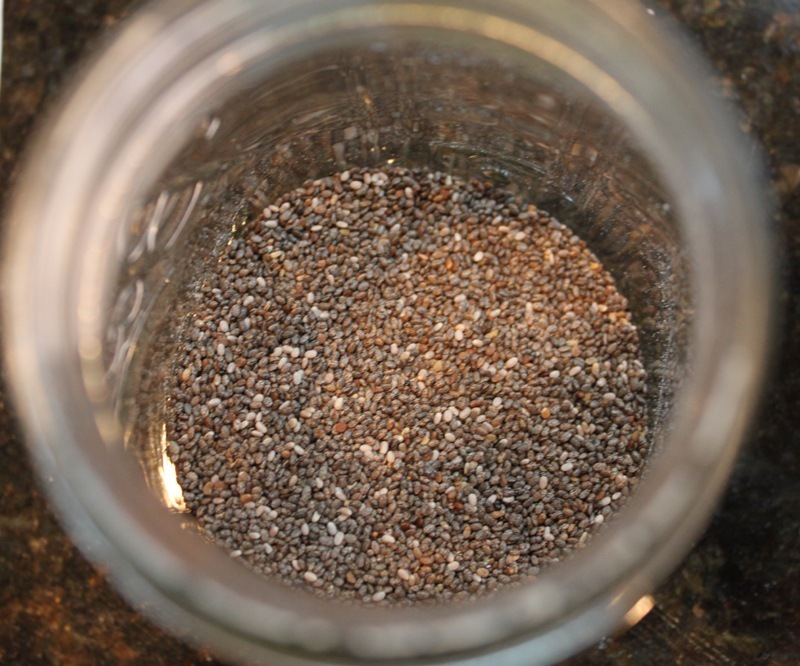 Chia seeds are so great. 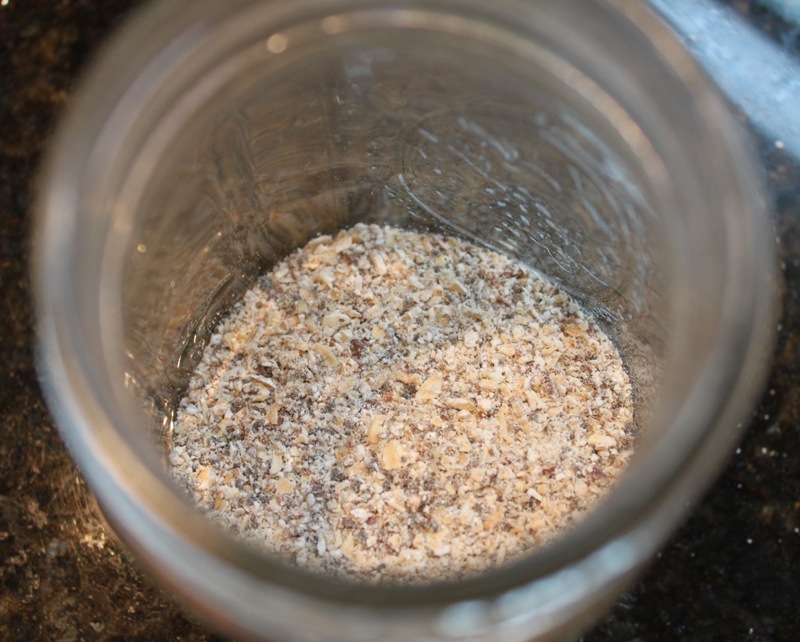 I mix them in my steel cut oats every morning, or with kefir, put em in salads, the works. For b’kfast I do that with 2 scrambled eggs and half an avocado. I feel super full but not that carby, crappy feeling full I get from wheat. 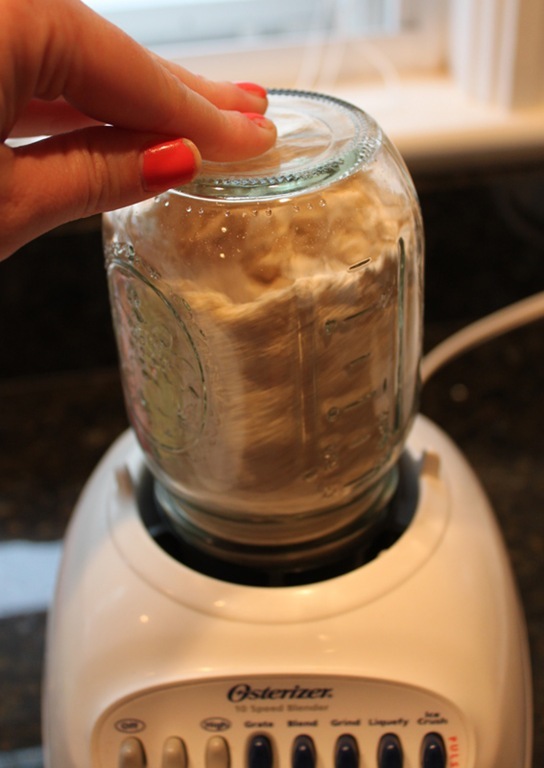 omg, i feel really dumb here, but do you have to flip your whole blender upside down to get the jar off? That seems like it could be difficult to hold it upside down PLUS unscrew the jar. Unless I’m having a total blonde moment here. Nope, look at the first two photographs – the blade and cuff (black plastic piece) should be a separate piece that comes off of the blender and the pitcher. This allows you to take the blade attachment, screw it to the jar, lock the whole thing into the blender base, and then press the buttons/blend. Does that make sense? 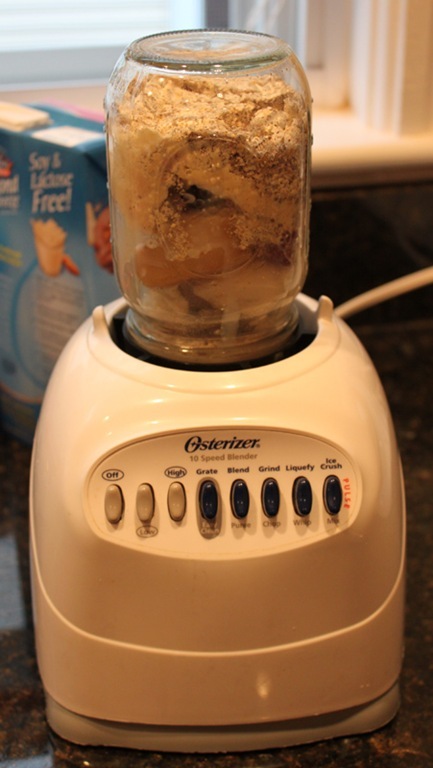 Look at picture #2 – that whole set up (the jar and blade) lifts in and out of the blender base. 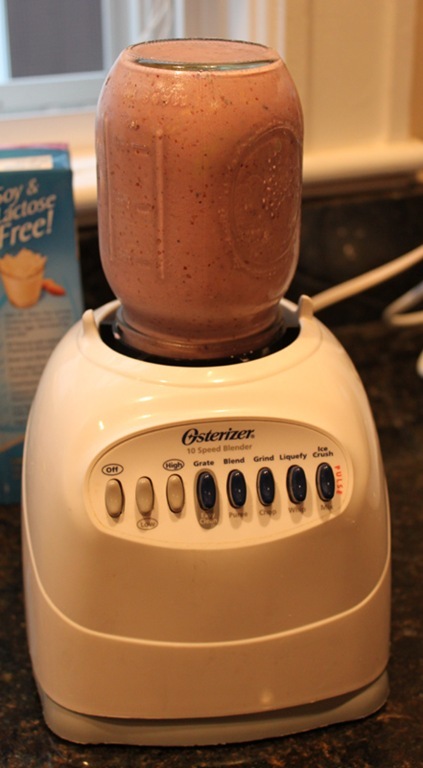 You can unscrew the blender blade from the jar before and after you have blended your smoothie on the base. In fact, you can’t unscrew it on the base or else you’ll spill the contents everywhere. So glad you tried it! Isn’t that trick the best?